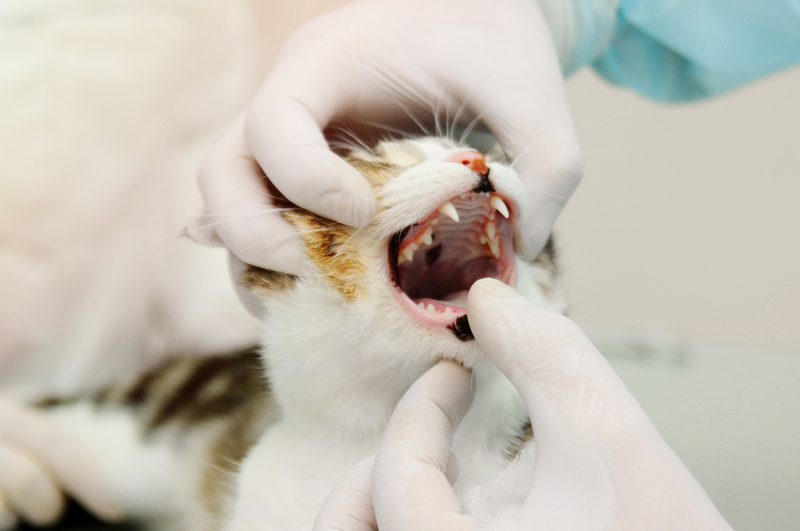 ORL is the reabsorption of the hard parts of your pet’s teeth. The body releases odontoclasts which are special cells that breakdown tooth material. This can happen for many different reasons resulting in 2 types of ORL. Type 1: External ORL. This can be caused by neoplasia (abnormal growth of cells), certain medications like anticonvulsants, or hypoparathyroidism. Type 2: Internal ORL. This is usually caused by trauma. ORLs usually look like red spots on the tooth’s surface, or inflamed delicate gingival tissue. ORL is most common in cats older than 2 years. Usually, it is uncommon in patients under 4-6 but it is still a possibility. With that said, pure breeds have a higher tendency of developing this condition at younger ages. Still, it does not breed, gender or age specific. Dogs can get ORLs as well but it is less common. Come on in for our complimentary Flip the Lip consult! If you aren’t sure what you’re looking at it’s a great time to come in and get a dental consult with one of the doctors. If you can’t make it in, give the clinic a call to discuss other options for dental care. Sometimes our pets do funny things, they act a little different, and it concerns us (as it should with such fantastic pet parents on the lookout)!